Are you an individual who likes to plan ahead? Are you uncomfortable asking friends or relatives to take on your care responsibilities, when the time comes? Do you have a family history of stroke, diabetes, Parkinsons, dementia, (fill in the blank)? Do you want to remain as independent as possible and not want to burden friends/family with care planning and/or caregiving? Then talk to us about Advanced Wellness Planning™. We have been working with individuals who like to know that when their time comes, they can rely on the expertise of a professional to ensure that their wishes will be heard. They can be assured they will be living as well as they possibly can and that their medical and health needs are being properly addressed. These are individuals who do not want to rely on family who they may feel do not have their best interest at heart or do not want to burden them with their health and caregiving issues. Engaging the services of a professional geriatric care manager in advance is an excellent way to plan and proceed. Ensuring that the expert of their choice is part of the paperwork for their Powers of Attorney is a prudent way to ensure that they are planning responsibly to minimize the stress on themselves and others while maximizing their knowledge, choices, and confidence that their finances will be used for them and their care needs- when they need it. 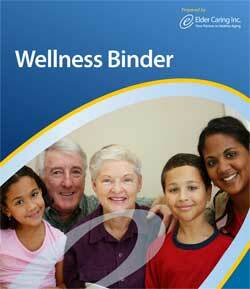 Advanced Wellness Planning™ is a great way to give peace of mind to yourself and others. Speak up for yourself now and we can ensure that your voice is heard later, when you may not be able to!